A side opening oven should be easy to find. It isn’t. In my accessible kitchen article I show the Gaggenau oven that Rosemarie Rossetti uses in her home at the Universal Design Living Laboratory. She chose Gaggenau because all of their models are side-opening. The doors swing open to the side. If you are in a wheelchair a drop-down oven door is a problem. You have to reach in from the side to pull out the pan. From a wheelchair this is difficult. Even for the average person with no special problems with access a side-opening oven makes sense. A lot of commercial ovens come with dual French doors so that big doors don’t block the aisle ways of busy kitchens. Gaggenau is probably the only company that specializes in ovens with side-opening doors, but there are a few other players in the market. When I originally researched this I only knew of Gaggenau, but I was able to turn up a few others that offer this as an option on certain models. Most of these are commercial ovens or premium residential ovens. These are top dollar units, so they are nice and you get a lot of extras. Sadly, the only mass-market ovens that offer this feature are from companies that have a very limited presence in the U.S. market. 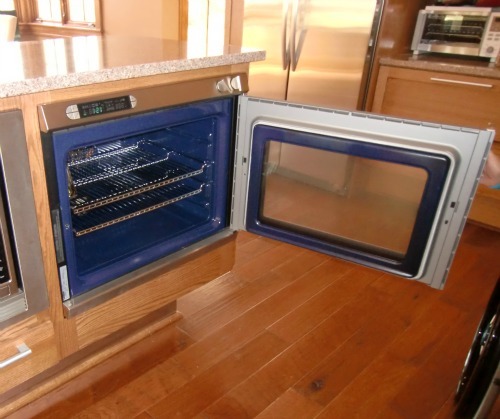 Here is a quick rundown of the companies that offer side opening ovens in the U.S. market. I list Fagor first because they are the mass-market brand you are most likely to be able to find in the U.S.. They are a Spanish company that sells very well in Europe. If you lived in Europe you would know the name. They sell a side-opening convection oven for about $1,000. AEG is German appliance company, but it was bought out by the Swedish company Electrolux, which has a presence in the U.S. I originally included them in this list because I thought AEG ovens were available in the U.S..They are not, nor does Electrolux offer a side opening oven, but this gives me an excellent chance to point out that lots of European companies offer side opening ovens. If you can find a way to import these you have lots of choices. Blue Star is a commercial appliance maker but they started a residential line. 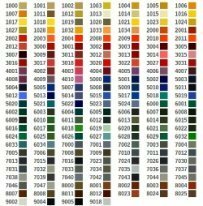 The cool thing about Blue Star ovens is their wide selection of colors, 190 to be exact. If you are big on customizing your appliance colors to match your decor then Blue Star is your best choice. They have three sizes of wall ovens, all with side opening doors. The 24 inch oven is a single door. The 30 and 36 inch models offer French doors. These will run from $3500 to $4500. If you prefer a model with a range-top then check out their Precious Metals line for a $6000 to $7500 investment. Blodgett doesn’t offer residential models. You can find some of their commercial ovens that come in for under $3,000. These have the French doors. However, their only models that have the side opening doors are either convection or ovens offering convection and steam. Thanks to an alert reader I can now tell you about Bosch's side-opening oven. If there ovens are as good as their dishwasher, then this should be an excellent choice. With appliances Bosch is a brand I always consider. Gaggenau’s side opening oven doors are all full width. No French doors are offered, but they do have one quirky alternative design. This is an oven where the base drops down. There are no doors on the front. Since only the base drops down the heat tends to stay in the oven. I would expect that there is an opportunity for the elevator mechanism to break, but what a great idea. The unit sits at the level of the upper cabinets, but the base is loaded at the level of the countertop. This is probably the easiest oven to access on the market. 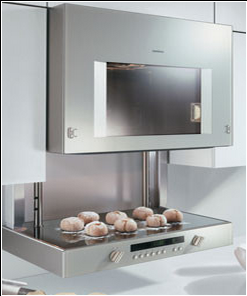 Gaggenau ovens have cutting edge design. This won’t appeal to everyone, but for some kitchens this will look great. If anyone knows of other brands and models, please let me know and I will add them to the list. For a complete lowdown on commercial ovens I found this nice site from KaTom Restaurant Supply.